Hoteliers voted GuestRevu as the top rated Reputation / Review Management provider in the 2019 HotelTechAwards. This vendor is the most popular in the category with 112 reviews across 38 countries. Easy to use reputation management for all important online review sites. 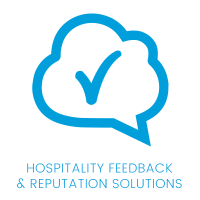 Reputation and review management solutions aggregate all forms of guest feedback from across the web to help hoteliers read, respond, and analyze the feedback in an efficient manner. 95% of guests read reviews prior to making a booking decision, and after price, reviews are the most important decision variable when booking a hotel. With reputation and review management solutions, hotels can positively impact the reviews and ratings that travelers are seeing when making a booking decision. How can reputation management software improve profitability and efficiency? Drive direct bookings: Online reviews influences millions of booking decisions on hundreds of OTAs and meta-search sites, while encouraging travelers to book directly on your hotel website. Improve guest satisfaction: Review collection allows hotels to boost their online review scores and gather valuable customer insights in order to continuously improve the guest experience. Increase revenue: Reputation management creates insights from your reviews that benchmark your hotel versus competitors and evaluates what most impacts your hotel rating, effectively increasing your hotel ADR. What are the most important features of reputation management software? Review Aggregation: For many hotels, the most important review channels include their own guest satisfaction survey, Booking.com, TripAdvisor, and Google. If these review sites are not included as part of the solution, the hotel will have to duplicate their review management efforts. Enterprise Visibility: For hoteliers who oversee multiple hotels, or sit at a corporate level, the option to view and report on behalf of all managed properties is a definite requirement for usability and effectiveness. Semantic analysis: Simply reading through or scanning reviews will not provide a hotelier any insight into how to improve, but with aggregated review summaries provided by semantic text analysis, hoteliers can start to see what's most positively and negatively impacting their rating. KPI Reporting: Hoteliers often need to provide reports on their KPIs, i.e. response rate, in order to meet the required status quo. To make them easier to track, they can be downloaded directly from the hotelier’s account or automatically scheduled via email. Competitor Benchmarking: When hoteliers are searching for a hotel, they are comparing the scores of a hotel's competitive set. Understanding and tracking how your hotel is performing in comparison to the competition is a key component to driving bookings. What makes great reputation management software? Review management alone does not make a large impact on your hotel’s revenues. Ensure that the vendor offers solutions that have been proven to improve direct bookings and increase ADRs for their customers. Great reputation management software will improve response rates and ultimately boost your hotel ratings. Many hoteliers are required by management or ownership to respond to a certain percentage of reviews, as responding to reviews is considered a best practice in hotel management. Most hotels can achieve over 70% by adopting an ORM platform and assigning resources to manage it. (# of reviews responded to/# of total reviews). Consider what review sources are most popular for your hotel(s) and make sure that you will be able to view and respond to these reviews within the vendor’s solution.Be sure that the hotel rating provided by the vendor is as accurate as possible, otherwise, your bookings could suffer if the score drops too low. Sophisticated formulas will automatically remove any biased reviews that could skew your rating. What is the typical pricing for reputation management software? Implementation fees are rarely necessary for reputation management solutions, even with a large portfolio of hotels. There could be costs related to integrations on a case-by-case basis. properties in a hotel group, quantity of rooms per property, and market segment of the properties. Licenses are generally purchased with an annual contract between $30-$50/property/month. 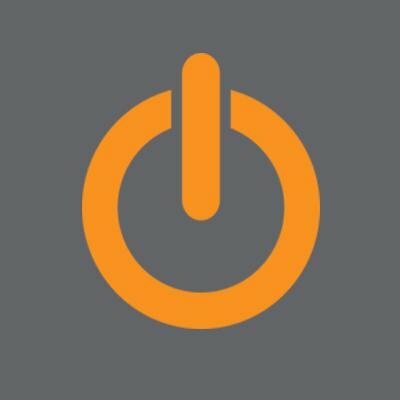 How long does it usually take for a hotel to implement new reputation management software? The implementation time varies from two weeks to a few months, depending on the portfolio size and competitors that need to be added and checked.The best thing about reputation management is that it does not require an integration with your PMS, CRM, or CRS to get it up and running. However, it can be provided to guarantee seamless connections with your guest data. This will be the longest phase of your setup, so if an integration is not required, implementation can be done in the minimum time frame of 2 weeks.